Armed Citizens supporting Constitutional Sheriffs - Where does your county stand? Where is your County Militia? While Constitutional Sheriffs are to be applauded for their work, there is a big problem. There is a failure to recognize and/or organize the only entity that the U.S. Constitution specifically sets forth as being "Necessary to the security of a free State". The institution is so foundational to our American history that it predates the American Revolution. It is not the military. It is not the National Guard. It is not the Sheriff. It is not Government Officials. It is "the Militia" of the several states, and that is composed of every Armed American Citizen (i.e., you)! The problem is that for over 100 years Americans have been intentionally fed falsehoods by our "educational system", Oath breaking and treasonous Government Officials (yes, Judges, Legislators, teachers, police, etc...), and those who are intent on destroying America and turning the United States into a third world socialistic dump site. Have you read the Article by Dr. Vieira ( Dare Call It Treason (by Vieira)? It is an eye opener. 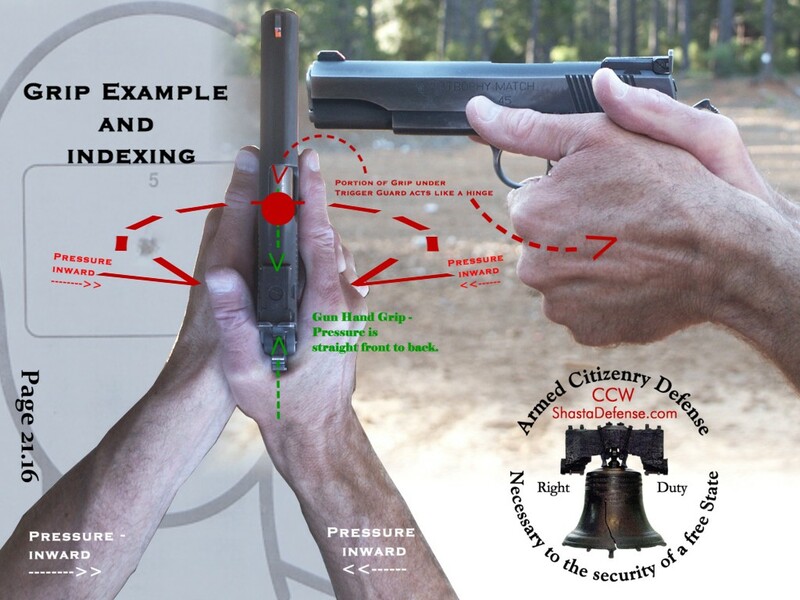 Armed American Citizens knowledgeable in the use of firearms and tactics are required to ensure freedom. Our founders specifically stated such. We as Americans have failed in our Right and Duty. We are most likely on the verge of some very bad things happening in our Country and at the local county levels, very soon. If you don't recognize this, then go back to sleep. As to the rest of Americans, we must ask - are we prepared? Is each county prepared? Is your Constitutional Sheriff actually prepared? Also, In California, pursuant to Cal. Gov. Code Section 26602, "The sheriff shall prevent and suppress any affrays, breaches of the peace, riots, and insurrections that come to his or her knowledge, and investigate public offenses which have been committed. The sheriff may execute all orders of the local health officer issued for the purpose of preventing the spread of any contagious or communicable disease." Further, in California, and pursuant to Cal. Gov. Code Section 26604, "The sheriff shall command the aid of as many inhabitants of the sheriff's county as he or she thinks necessary in the execution of his or her duties." At present there are Sheriffs of record who are ready to "Stand Tall" and follow their Oath to support and defend the U.S. Constitution (and it appears their numbers are growing). Moreover, there are Sheriffs who are actually doing such. However, by definition they are outnumbered by the "bad" guys (drug cartels, Oath violating officials who seek to destroy our Constitutional Republic, etc...). At this point, a critical factor is: who are they going to call to assist them when they Stand Tall and refuse to obey unlawful "orders" or "laws"? Who are they going to call when Oath violating forces march into your county and demand "cooperation" in rounding up citizens in violation of the Bill of Rights, or the Oath violating forces start conducting door to door gun confiscations in your community (an act of war), etc...? Who are they going to call when those Oath violating forces seek to arrest and imprison the Constitutional Sheriff who refuses to "cooperate", as such forces proceed to tyrannize the population of your county? Who will be available to assist your Constitutional Sheriff? Who will come to their aid on rural distant roads in the dark of night when such tyrannical forces seek to neutralize the Constitutional Sheriff ? The Constitutional Sheriff is putting it on the line, and, make no mistake, he is a target of those seeking to tyrannize. We as American Citizens have a duty likewise Stand Tall and not allow him to be such a target. Don't you believe that common sense dictates that Constitutional Sheriffs immediately start looking at THE resource (law abiding Armed Citizens) that our founding fathers specifically set forth as "Necessary to the security of a free State"? Of course, some type of organization of such Armed Citizenry would be beneficial and is urgently needed. The Sheriff obviously needs trained and competent armed citizens when the call for aid is made. The people elected the Sheriff. There must be "coordination" between each Sheriff and his or her source of governmental power (the People). When the call is made for the posse, the Sheriff needs trained and competent assistance. Without such, standing tall and alone will not only be a "last hope", it will be a mere silhouette disappearing into the night, as the sun sets on liberty. We , "the People", as American Citizens and being Constitutionally recognized as "Necessary to the security of a free State" are duty bound to stand with our Constitutional Sheriffs! "... the sheriff is one of perhaps two or three public officials nationwide, who has the authority to call out the militia or "posse." (The County Sheriff America's Last Hope, by Sheriff Richard Mack, at page 24). Imagine if the Constitutional Sheriff of your county had hundreds and then thousands of competent and trained armed citizens that he could call upon and who would respond at a moments notice! It is submitted that such a situation, in and of itself, may cause Oath Breaking forces (tyrants) to stay away from your county. Then combine that with Law Enforcement and Military who will refuse to obey unlawful orders , we may be able to start to turn this country around. But it starts with each Armed American Citizen at the ground level, and that means you and me, not only exercising ours rights, but performing our duty. What will your public officials do under similar circumstances? You need to know now. Ask them before you vote. PDF Version of "Principles of Our Republic Oath Keepers are Sworn to Defend" is here. Do Your Public Officials know their duty? Will they follow their Oath? "...one of the fastest ways we can truly impact liberty for the better is to elect strong constitutional sheriffs, and then back them up with a strong citizen posse. The next step is to form county militias within a structure of a state militia, and then elect a strong (brave, principled, and knowledgeable), constitutionalist governor. And it is also vital that we have a sound money alternative at the local and state level, so that we are not economically dependent on the Federal Reserve and the fiat money system it controls. We need economic, military, and resource independence and strength in the states to be in the best posture possible to resist federal usurpation and violations of our rights...."
The Battle of Athens, Tennessee As Recently As 1946, American Citizens Were Forced To Take Up Arms As A Last Resort Against Corrupt Government Officials. Pritchard - She Shot the Nazi Officer ... and saved the children. Where does your county stand? Hopefully, the call is answered before it's too late for America, and freedom.